TLDR: This is a long post that 1) articulates why those affiliated with Duke felt outraged by Paul Farmer's speech to the Class of 2015 during Duke University's commencement ceremony on Sunday, and 2) clarifies to those who saw the speech what Duke has meant to me and so many others. My emotions are running fiery hot from my last night with the Duke Class of 2015. It started off strong: I was pumped after Kim Cates handed me the famous “I <3 Shooters” tee on my way into the bar. And it ended up being a great final night. But I did not expect to later need to use that tee as a towel to dry my tears. Even though I told myself I wouldn’t cry as I prepared to leave Durham, I’m glad I did. Because those tears weren’t characterized by sadness, but of an overwhelming sense of disbelief that the past four years really did happen. If you told me at age 18 to write a fictional story of my ideal college career, it wouldn’t be half as amazing as what Duke ended up giving me. But as much as I would like to say it was a perfect weekend, I’m far from the only person to feel the salience of one astonishing low: Commencement was a disaster. And everyone felt that. I woke up today still sick to my stomach about how the ceremony went. I knew that something needed to be said. So, finally with time away from the business of graduation weekend, I forced myself to sit down and articulate why it bothered me so much. Never could I have predicted that I would have to apologize to my relatives for making them travel two thousand miles for a commencement ceremony that was not just underwhelming as a whole, but also featured Paul Farmer's now infamous speech — a thirty-eight minute-long rambling address that was devoid of taste, lacked sensitivity, and felt largely purposeless. This guy was supposed to inspire us. Yet somehow even as a revered anthropologist and physician, Farmer managed to produce the worst speech I may ever hear, riddled with tasteless jokes about PTSD and Ebola and characterized by a lack of self awareness and understanding of the human condition. As someone well aware of his prolific career and myriad accolades, I was shocked by his speech. He is a hero to so many. But how did someone who is "best known for his humanitarian work providing suitable health care to rural and under-resourced areas in developing countries”, feel so comfortable exhibiting himself in a douche-like manner in front of thousands of people? That day, Paul Farmer manifested himself as a living, breathing oxymoron. The incongruity between all that is implied (and proven) by his academic, humanitarian job titles and the coarseness of his behavior onstage was viscerally irksome. Physicians and anthropologists, of all people, must exhibit a heightened capacity for empathy, yet Farmer knew his audience like Floyd Mayweather knows feminism. A polite way to describe his speech would be to call it an uninspired, unfiltered stream of consciousness. But how can we better describe what we witnessed? A string of disconnected, unfunny, off-color comments and pointless shoutouts? 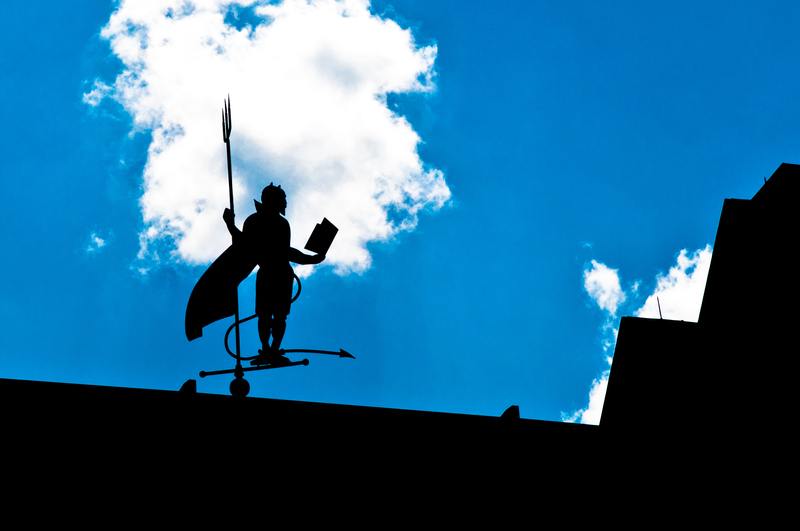 A childish diatribe against our board of trustees? A means for him to vocalize in front of five thousand Duke students and their relatives that he proudly knows nothing about sports, that he “really fratted out” in college, and that he has no grasp of what is and isn’t an inside joke? Farmer did not know how to pronounce "Jahlil Okafor". How did this guy have the gall to jab at President Brodhead for not “inviting [him] ten years ago?” Did a ghostwriter compose the commencement speeches he gave to Harvard and Yale? Let's be clear: I'm not downplaying his incredible contributions to the world. That said, I could have written a better speech if someone had stuck a dart of cow tranquilizer in my neck before I sat down to write it. Why did he give so many weird, general shoutouts? "ANYONE A HOMO SAPIEN WHO FEELS LIKE THEIR TIME IS BEING WASTED?" But it’s not just that the speech was widely offensive. It’s not just that the speech was pretty much intolerable to sit through. It’s not that he made an already rainy day drearier. What bothers me the most is that he squandered the incredible opportunity to be Duke's commencement speaker — one of the greatest privileges Duke’s administration can bequeath to any person. But why exactly is it such a treasured opportunity to be invited to speak at graduation? Sure, a great speaker may inspire you. A great speaker may make you laugh, cry, smile. But as Duke undergraduate, graduate, and postgraduate students, we didn’t wait for years to sit through a speech whose delivery merely served to pleasantly pass the time. Someone who is privileged to speak at Duke’s commencement ceremony must bear a host of additional, weighty responsibilities. As commencement speaker, your role is twofold. Your first role is to crystallize these students' million feelings and impressions about their Duke career into a few outstanding observations and gems of advice. Before making your way onstage, you must spend days, weeks, months mulling over how to capitalize on the reality that over 5,100 unique Duke experiences are in your hands on the day of that speech. You must channel every ounce of empathy in your body to connect with these people and empower them to realize that their time at Duke was worth it. Because it was. You should leave them with pieces of advice that draw from the fabric that is their collective Duke experience. Advice that will resonate a decade, two decades down the line. The second burden you must bear is that of sharing, with the relatives of these capped-and-gowned Dukies, the essence of what makes Duke Duke. You have the responsibility, the opportunity to broaden these loved ones’ perspectives to the Duke world to which they are probably unfamiliar. As an esteemed, appointed representative of Duke, you must strive to convey a message that not only reflects the values of the institution, but also delineates important bits of what Duke students are taught to stand for. You must explain to the parents, grandparents, cousins, daughters, sisters, brothers why Duke has meant so much to so many people. You must share truths about the Duke experience that are relevant for these relatives to piece together an adequate understanding of what it means to graduate from Duke. 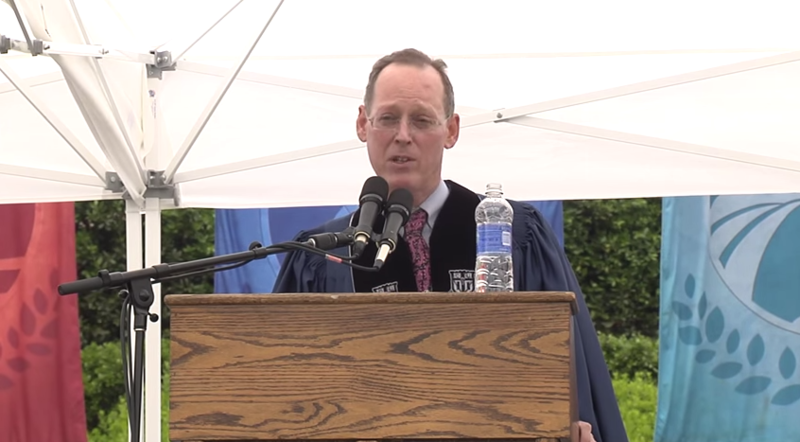 It’s safe to say Paul Farmer did not fulfill this twofold responsibility when he walked on stage in front of the Duke Class of 2015 this past Sunday, May 10th. He did not even come close, seemingly eagerly working to accomplish the opposite. Farmer managed to trivialize our years of meaningful Duke experiences with annoying middle school-level one-liners, stories entirely devoid of significance, and ignorant disregard for the convictions and passions of all these Duke students in front of him. With no good reason, he even made it a habit to bash the leaders of our university. Few pieces of his advice resonated with me. Few stories he shared were grounded by a motivation to be of any relevance to these Dukies and their families. It felt sick laying witness to Farmer's tiresome rant through which he made bashing the university's reputation a motif of the day. I could almost sense the credibility of my diploma evaporating before my eyes. I couldn’t stand seeing our Duke graduation becoming undermined by this man who paid little to no attention to his responsibilities as our commencement speaker. Farmer treated our graduation like a joke — one of his dated, offensive, pointless jokes. His speech left me with a flurry of emotions. Disappointment, anger, confusion, disbelief. I spent the rest of the day trying to brush it off. I tried to justify to myself: “At least how bad it is makes it almost comical, right? !” But even though Yik Yak got a lot of us through the disaster that was Paul Farmer's speech, the reality of the situation was not the slightest bit humorous to me. My time at Duke has been everything to me. And Farmer just urinated on that experience for thirty-eight minutes. So let me set things straight. My Duke experience, from Freshman year to Senior year, seems like a dream. Since that first amazing night of meeting many of my first friends at the Nasher Museum, I’ve been able to consistently share the stage with some of the most incredible dancers in the world, broaden my worldview through a semester abroad with some of my favorite fellow students, experience many of the most exhilarating moments of my life getting a little Crazie in Cameron, travel across the world and grow close with people from all parts of the world, discover my love for design and find countless opportunities to act on that love, and finally earn a degree from Duke's Computer Science department that has equipped me with so so much. It doesn't help my disbelief in all that has happened that Duke just witnessed its fifth NCAA Men’s Basketball Championship. All these experiences matured me significantly. Duke made me a real person. It taught me so much about myself, my peers, the world around me, and how I fit into that world on the grand scale. These years will always mean so much to me and to the friends that are my Duke family, which makes it impossible for me to let Paul Farmer get away with his inexcusable performance. Duke has allowed me to experience so much, but I’m cognizant to not place an exaggerated emphasis on these individual memories that are tied to my undergraduate years. We have our whole lives ahead of us, and what matters most down the line are the relationships that we forged and the treasured lessons that our Duke experience taught us. The specifics of what we’ve learned differ from Dukie to Dukie, but I thought I’d share with you the lessons I thought were most valuable from my four years at Duke. Duke taught me a lot about privilege. In particular, Duke taught me the value of constantly and honestly reflecting on privilege in a meaningful way. It’s annoying to be told to check your privilege, because checking it does nothing without followup. There are two ways to meaningfully take action with your knowledge about your privilege. With a Duke degree under your belt, you on one hand have the influence and responsibility to work to fix the systems that put others down in giving you those privileges. At the same time, you should leverage knowledge of this privilege to your advantage and do great things with those privileges. The Duke brand is incredibly powerful. Use it wisely. student organizations because of their unquenchable thirst to share their passions with the world. Like countless of my Duke peers, it turned out that I had no idea what a passion was until Duke showed me the things I truly love, and how exhilarating a privilege it is to be able to do those things regularly. Duke taught me a lot about learning and perspective. These four years taught me how much I didn’t know. How much I still don’t know. How I will always need to regularly step back to reevaluate my worldview. That the most meaningful learning experiences happen outside of the classroom. That a teacher's passion for their subject should be so latent and purposeful that this passion spreads contagiously among their students. That you can learn life’s most important lessons by simply forcing yourself to thoughtfully observe the world around you. These four years have taught me that I can learn so much from everyone. I learned to not be afraid to admit I'm wrong. I learned to make as few assumptions about others as possible. I learned to let myself be vulnerable and share my world with others. Duke taught me to make it a habit of really listening to the people you care about. I smile when I think of the positive impact organizations like Common Ground have had at Duke over the years. Duke taught me a lot about friendship. I’m grateful that Duke showed me the countless reasons that surrounding yourself with great people matters. As often as this is said, you are the average of your closest friends. That means something. They define many of the things you do, they shape your values and passions, and they influence the choices you make – big and small. Treat your friends with empathy and respect, and don't waste their time. The best friends pick you up in the worst of times, and can lift you higher than you could have ever imagined. The best friends make you feel like you don’t need anything else in the world. To my Duke family, thank you for being wonderful. Duke taught me a lot about optimism. That if you explain to people your great expectations of them, they will step up to the challenge. That if you develop a perspective of hope and don't blame individuals for their ignorance, you give yourself an opportunity to focus on the root cause of huge issues and address them through means of education. Duke taught me that developing knowledge of unjust systems around the world is not a depressing process. This knowledge puts Duke graduates in a position to help dismantle this oppression. We’re going to shape the future. Duke taught me a lot about leadership and success. My experiences here remind me to measure my worth by my impact, and not by superficial attachments and possessions. Your title as President of X organization doesn’t mean anything by itself. Calling yourself a CEO doesn’t demonstrate value in its own merits. Your actions as a leader speak louder than the titles on your résumé. Your leadership should inspire confidence in others. And when do you know you have succeeded? The sign of success is being able to do things that fill you with joy, and sharing that joy with others. Success is being the change society needs, finding the things that make you happy, and improving the lives of others. Class of 2015, considering all that Duke has taught us and all the doors it has opened for us, I’m confident in saying that our shared disappointment in Paul Farmer’s speech does not in any way reflect the significance of our graduation. I’m proud to call you my classmates, and I’m so excited to see what we will come to accomplish. If this post resonated with you and you don't want Duke to make this same mistake, please feel free to share.